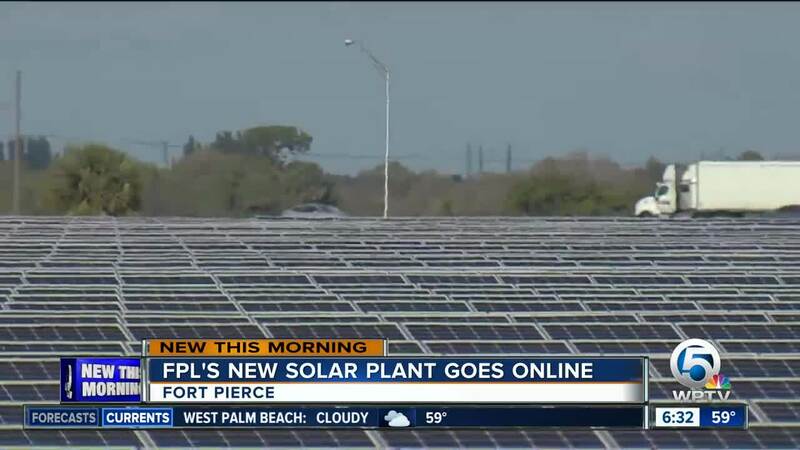 A new solar power plant in St. Lucie County is one of four that went online Thursday. "We're moving toward an energy efficient, environmentally-friendly source of energy generation that benefits not only the customers, but it benefits the environment and the state as a whole," said FPL spokesman Stephen Heiman. FPL said they are investing billions of dollars in clean energy and working to keep customer bills among the lowest in the United States. According to a written statement, the company's goal is to put Florida in the lead globally for solar energy production by installing 30 million new solar panels at 100 new plants by 2030. They are also planning to improve their battery storage technology so solar energy can be used even if the sun isn’t shining. FPL, one of the largest utilities in the country, serves about 10 million people in the Sunshine State.